The Vancouver International Boat Show takes place in January or February at BC Place and at the marina at Granville Island. Hundreds of boats are for sale. In 2019 the Vancouver International Boat Show takes place February 6-10 (which is about two weeks later than in the previous year). It’s also during Chinese New Year, so expect downtown Vancouver to be super busy. See below for the following information about the Boat Show, or click a link to jump to a specific topic. An annual event for over 50 years, the Vancouver International Boat Show is the premier boating event in Western Canada. It’s also the largest showcasing of the recreational boating industry in British Columbia. If you’re a boat fanatic, you’ll want to be there! At the event there are fishing boats, pleasure yachts, jet skis, kayaks and other sorts of vessels on display, as well all kinds of motors and marine equipment. Much of the event is indoors at BC Place Stadium at 777 Pacific Boulevard, which is great if it’s a typically rainy January or February day. 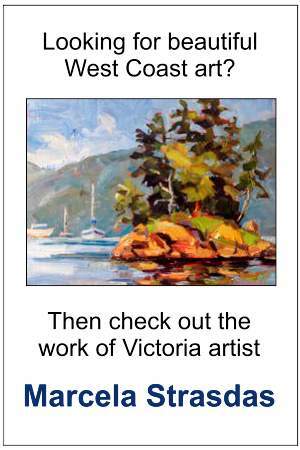 It also takes place by the Granville Island Maritime Market and Marina at 1676 Duranleau Street. Free shuttle buses and water ferries run continuously between the two venues. In 2019 the Vancouver International Boat Show runs from Wednesday, February 6, until Sunday, February 10. Hours of operation most years are from 10 am to 8 pm from Wednesday to Saturday, and from 10 am to 5 pm on the Sunday. Admission to the event includes all show activities including educational seminars, live entertainment and boat rides on the (reportedly) biggest indoor lake for boaters on the planet. 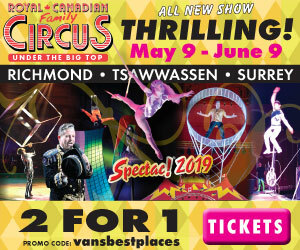 Admission also includes both the outdoor floating show at the marina at Granville Island and the indoor show at BC Place Stadium, as well as water ferry and shuttle bus services between the two venues. Admission to the event in 2019 is $15 for adults (age 17 to 64) and $13 for seniors for one day, just $4-$5 more for two days, and $25 for a 5-day pass. Children ages 16 and under are free when accompanied by an adult. Prices in 2019 are the same as they have been for the past three years (which is great)! Adults (ages 17 to 64): $15 for one day ticket and $20 for two days. 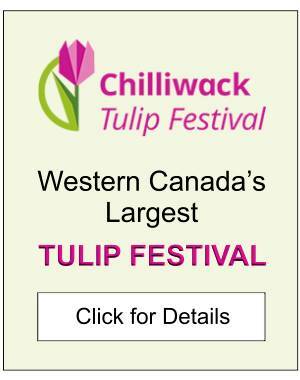 Seniors (ages 65+): $13 for one day ticket and $17 for two days. Children (ages 16 and under): free (when accompanied by an adult). If you sign up for the Skippers’ Club e-Newsletter and then buy your Boat Show tickets online in advance you’ll likely save a few dollars. Another way to save is to attend the Vancouver International Boat Show after 5 pm. Arrive at the gate in the evening and pay just $5. During these evening specials, children ages 16 and under still get in free when accompanied by an adult. Groups of 20 or more people also get a discount – the cost for them is only around $10 per person. There is a lot to do at the Boat Show other than just look at boats, motors and marine equipment. At the Vancouver International Boat Show there are seminar speakers including do-it-yourself workshops, boating seminars, sport fishing talks and even cooking demonstrations. Don’t only look at the boats – get your money’s worth and attend the learning events! In 2019 over 125 presentations are scheduled including ones by boating experts, world explorers, environmentalists and even underwater treasure hunters. For children, there is a Kids’ Zone, plus the free trips on the water ferries are always fun. In addition to all the seminars, over 250 exhibitors are expected, as are close to 30,000 attendees. Saturday, February 9, 2019, is Women’s Day at the Boat Show. For $99 women get a light breakfast, bag lunch, access to a fashion show, wine tasting opportunities and general admission to the Boat Show. Instead of being called “Women’s Day,” the event should perhaps be called “Novices Day.” The program is catered to women, and women are encouraged to sign up, but spouses sometimes also attend. Workshops on February 19th are also of interest to novices (and parents) in general, not just women. Lagoon 52 Catamaran – the largest catamaran ever displayed at the boat show in Vancouver. It has bevelled hulls, diamond-shaped vertical bows and a unique levitated deckhouse and tall rig. Greenline 48 – an environmentally-friendly vessel with a NextGen Hybrid system and hydraulic platforms. 66 Manhattan – an ultra-fancy yacht that won last year’s Motorboat & Yachting award in the category of “Best Flybridge over 66″. 43 Riviera Open Flybridge – a vessel featuring world-class on-board technology. Prestige 680 – a high-quality boat with an attractive interior design and modern innovations. Coastal Craft 33 Profish – an aluminum boat that’s good for fishing and speeds as high as 41 knots (although more comfortable up to around 35). Tigé Boats – an attractive 21-foot vessel with a large bow and lots of room in the cockpit. Yamaha SX195 – a fast boat with a 1.8-litre Super Vortex High Output engine. Tactical T-40 – an aluminum vessel with twin outboard engines, suspension seats and various other fancy features. Admission to the Vancouver International Boat Show includes access to complimentary bus and ferry shuttle services. Free shuttle bus service is offered every day throughout the event between the Floating Show at the Granville Island Maritime Market and Marina and the main entrance at BC Place Stadium. Complimentary mini ferry service also runs continuously most years between the Granville Island venue and the Plaza of Nation’s dock near BC Place Stadium (outside Gate D). Check out the video below to get an idea of what to expect at the Vancouver International Boat Show. As you’ll see, the event takes place both outdoors at Granville Island and indoors at BC Place Stadium. There are boats of all kinds on display, and mini ferry boats that take passengers back and forth between the two venues. Below is a list of suggestions and other information to help you make the most out of your visit to the Vancouver International Boat Show. TIP #1: Both venues will be quietest on weekdays during the day and first thing in the mornings on the weekend. The BC Place venue will also be busiest on rainy days while the Granville Island venue is less busy when it’s wet out. TIP #2: There are a number of nice restaurants close to both venues. BC Place Stadium isn’t far from Chinatown, Yaletown or Robson Street. There are also a number of nice restaurants on Granville Island. TIP #3: Be sure to take in some of the educational seminars. They are interesting and you can learn a lot. TIP #4: Especially if at the Boat Show when it’s not crazy busy, chat with the exhibitors. Ask questions, learn something new and have fun with the experts. TIP #5: Take public transit if you can. BC Place has easy access to a SkyTrain station and from there you can catch the free shuttle service to and from Granville Island. TIP #6: There is lots of parkade parking at or near BC Place Stadium. Sometimes parking fees are at a premium during “special events,” but weekends are usually more affordable than other times. TIP #8: The complimentary mini ferry service between the two venues can be a nice treat, especially for the rare person at the event not used to being out on a boat. Have patience though at busy times as the lineups can get long. TIP #9: If relying on the complimentary ferry or bus service to get back to your car, give yourself lots of time in case there’s a big queue. For further details about the event see the Vancouver Boat Show website. 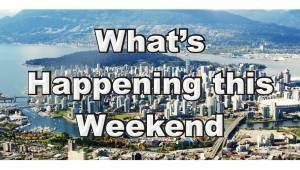 For more ideas on things to do on other days, check out Vancouver’s February Events Calendar.